I have a 60 up and running, and for some reason the vape just isn't the same as a 40, or even 75/200. 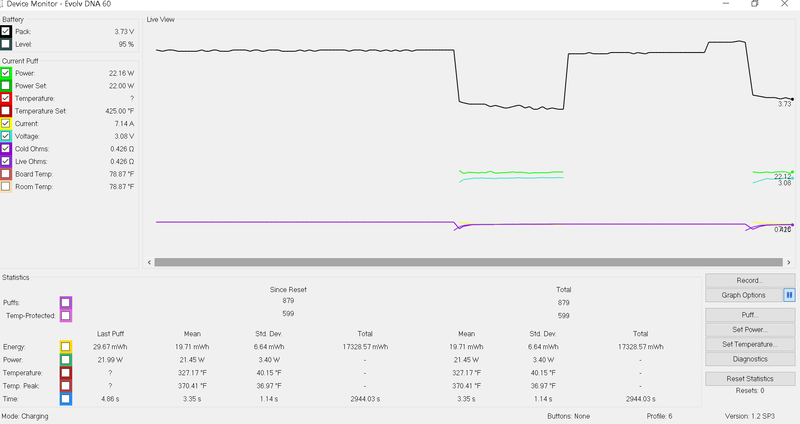 It's pulling the exact same voltage/amps, at 22 watts (so wiring isn't the issue), with the same tank/battery swapped over as well. Is there some reason as to why the 60 just isn't quite as "smooth" as a 40? Again, same tank/coil, battery, etc. The flavor isn't as good either! I've even considered having a 4s balance lead wired up to the 60 for the USB, given the mod is easily accessible. Then wiring a male 4S tap to the USB. You could then get away without having to mount/cutout the USB in a mod, yet be able to have the USB/tap to quickly plug into the female tap wired to the board for escribe. This is a last resort/another option if you for your application the USB won't fit or you don't want to mount it. Keep in mind then you'd have the USB w/ tap to look after (not lose). Yeah - true. The only exception would be when you are able to just "tuck" the tap inside the mod....that way you can have more flexibility where you run the 5 lines and also if you can't route the lines where you would like or fit a USB where you would like. Under those circumstances, it would be better than having the USB inside the mod (no external port/access), for shorts, etc. Again - a solution for very unique circumstances. Maybe it could also work for people whom want to retrofit a VS with 2 amp charging. They could just run the two lines for +/- to the VS charge board and then have a tap inside. That way they could have the 2 amp charging still, not have to mess with the VS USB, and still have access to Escribe. Yet again - another option for some under special circumstances. Otherwise, mounting the Satellite USB is optimal of course. That's a good analogy. It's true - I'll likely be able to go in and tune the board a bit more and am just expecting it to plug/play and vape like it's predecessor. It's a great chip though, no doubting that. I'll give it a shot. 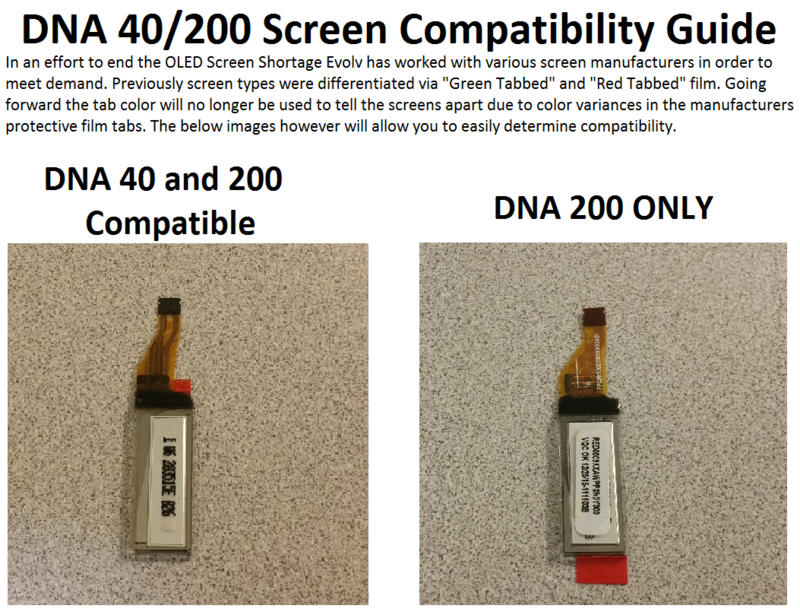 Anyone know if the dna40 big screen will work with the dma40 big screen? Thinking about swapping out my 40 for the 60. I think so (large screen obviously), it is the same screen as the 200 which can use a 40 large screen, but the screen that comes with the 60 probably wont work with a 40. All of the screens are compatible from my experiences. Even the ones that state otherwise. Also, as an update after running 60's for a few months - they are fantastic little chips. Truly amazing. Perfect balance of functionality/technology and form factor.